One of the more interesting promo-only items, John Wesley Harding's "Collected Stories 1990-1991" was released as a gimmick, partially in response to critics complaints that the word-heavy songwriter failed to include a lyric sheet with his first two Sire albums. Packaged as a book containing short stories based loosely on the songs from "Here Comes the Groom" and "The Name Above the Title", "Collected Stories" also contains a disc of highlights from the albums, the "Christmas EP", and a couple of live tracks -- essential for fans. A perfect encapsulation of the cocky, irreverent, and often brilliant singer/songwriter, and a nice collectable too. Without a doubt, George Harrison's first solo recording, originally issued as a triple album, is his best. Drawing on his backlog of unused compositions from the late Beatles era, Harrison crafted material that managed the rare feat of conveying spiritual mysticism without sacrificing his gifts for melody and grand, sweeping arrangements. Enhanced by Phil Spector's lush orchestral production and Harrison's own superb slide guitar, nearly every song is excellent! After a five-year hiatus from recording, during which time he worked with his film production company, George Harrision returned to the studio in 1987 and cut the Jeff Lynne-produced CLOUD NINE. Harrison and Lynne made for a perfect match, as this album proved to be a comeback for the reclusive ex-Beatle. Joined by an all-star band that included Eric Clapton, Elton John, and Ringo Starr, Harrison put together a collection that includes sitar-tinged reminiscences of his former musical life ("When We Were Fab"), slinky psychedelia (the title track), and an obscure R&B tune that Harrison took to the top of the charts ("Got My Mind Set on You"). Actually this amounts to a retrospective of Tony McPhee's pre-late-'60s career, including ten tracks by Herbal Mixture (their two singles and several unreleased demos and alternate takes), and six from the rare singles recorded by the early Groundhogs in the mid-'60s. At that point the Groundhogs were just another British R&B band, but they weren't bad; on their second and third 45s, they incorporated some soul influences and horns as well. 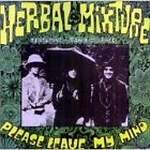 The Herbal Mixture material is more interesting, though, being decent period psych-pop with appealingly naive lyrics, even if their embryonic promise had little time to flower. The influence of American late-'60s/early-'70s West Coast country-rock on the early-'70s British rock scene was mild on the whole, but its quite pronounced impact on a few UK bands has been overlooked. There were Brinsley Schwarz and Matthews' Southern Comfort, and, in a much more obscure instance, Home's rather awkwardly titled debut LP Pause for a Hoarse Horse. Home were good, competent players, capable of good-natured country-rock with some sparkling guitar, sometimes speckled with a hint of Paul McCartneyesque pop or Crosby Stills & Nash harmonies. Reissue of the group's 1971 debut album. 11 tracks, all mastered using Super Bit Mapping (SBM) technology. Also features the original cover art.